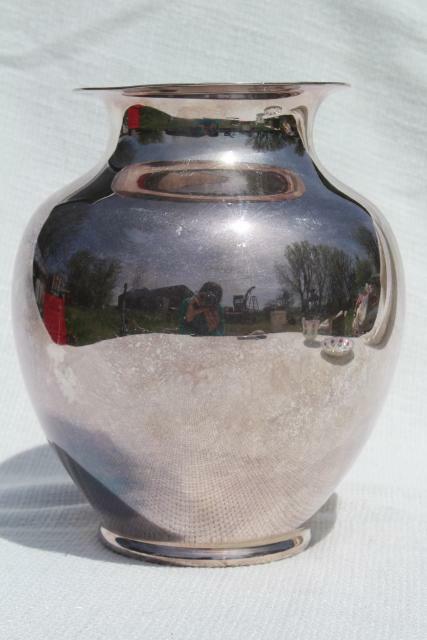 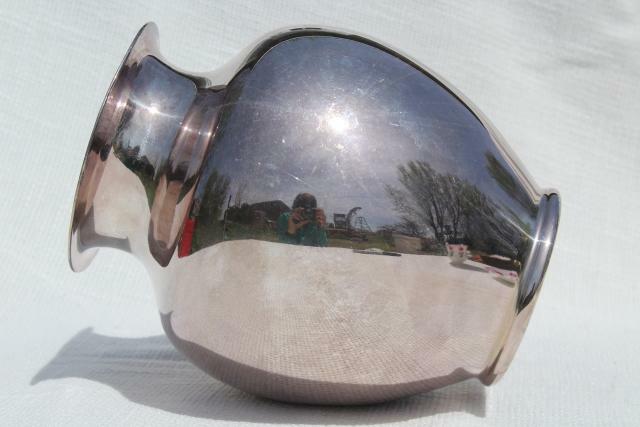 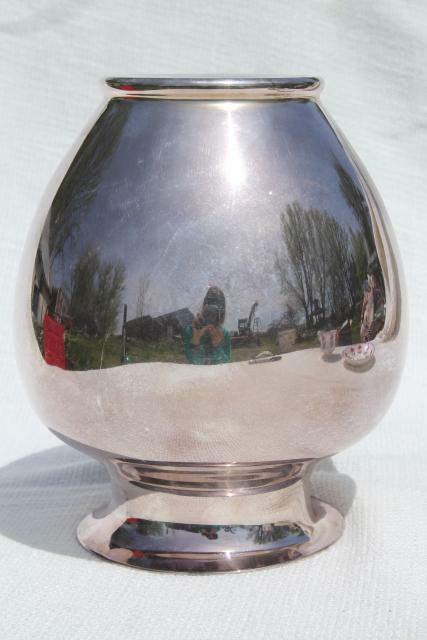 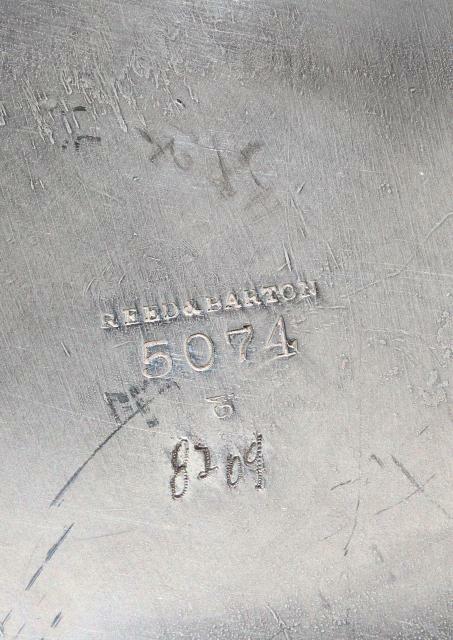 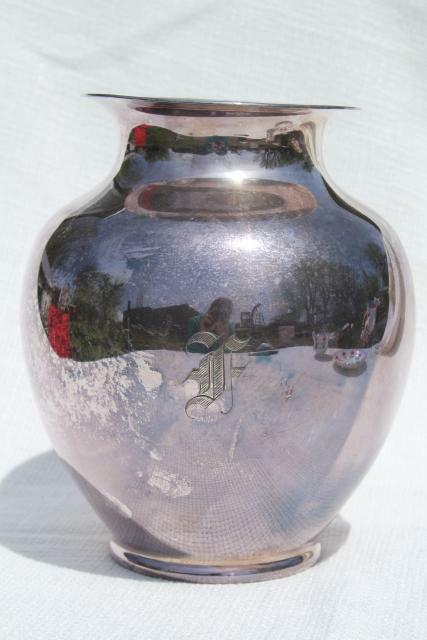 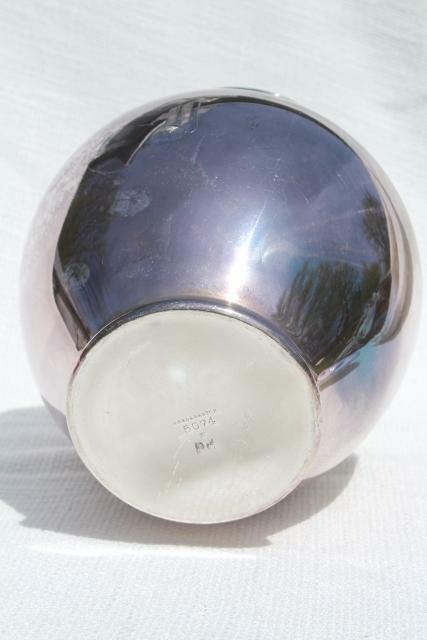 Vintage Reed and Barton silver plate urn vase, nicely weighty, about 7" tall overall. 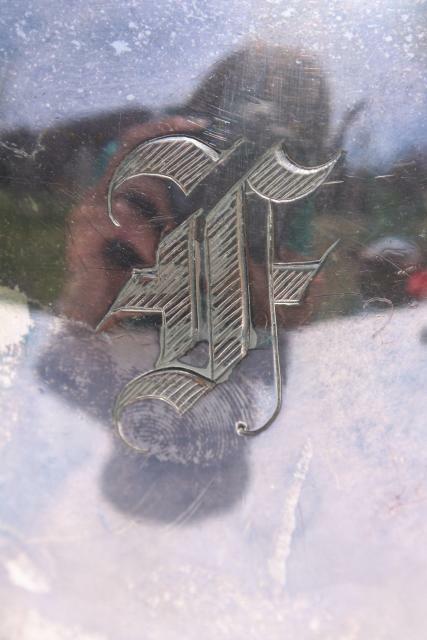 This is engraved with an F in the Old English style, as shown. 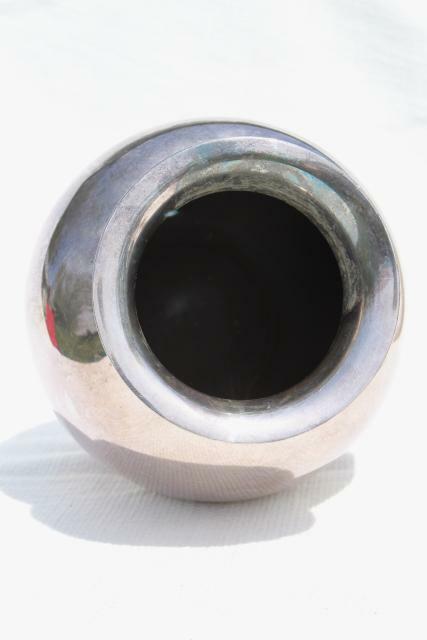 It's been used, and is tarnished and showing some light scratching which would probably be less noticeable with polishing. 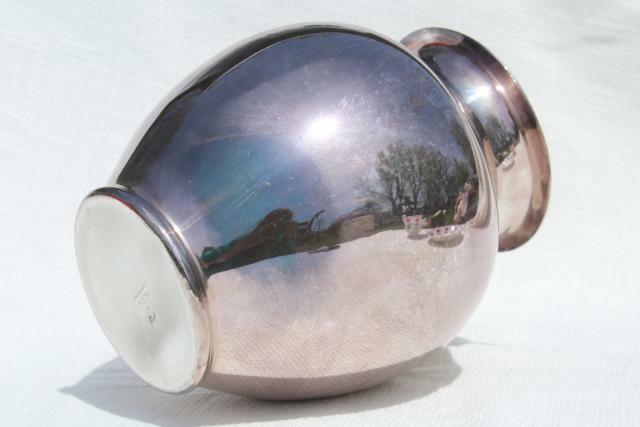 We love tarnished silver and don't mind the scratching - so we've left it just as we found it!